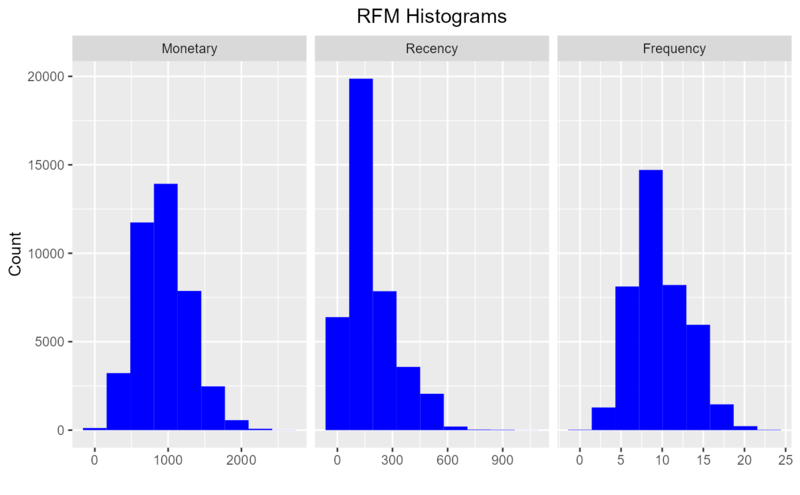 Histograms of recency, frequency and monetary value. An object of class rfm_table. Number of bins of the histograms. 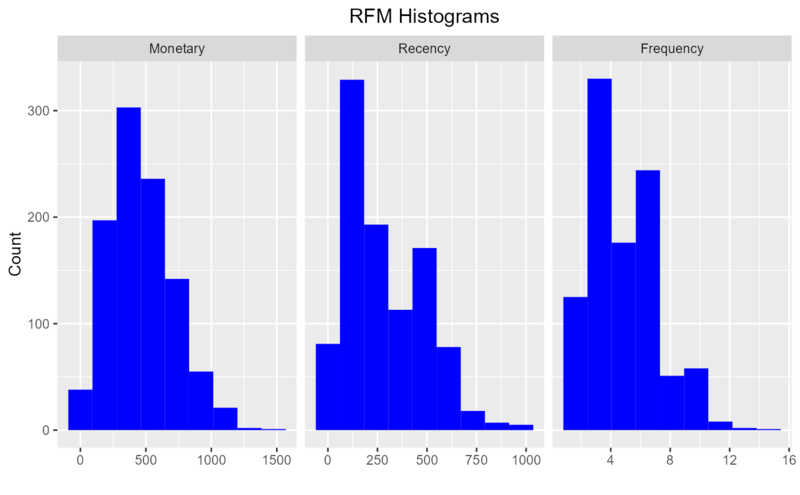 Label of the monetary value histogram. Label of the recency histogram. Label of the frequency histogram. Horizontal justification of the plot title; 0 for left justified and 1 for right justified.